If you are an avid theatre-goer, then Dublin is the place to be from September 24 to October 11. For 18 days, Dublin will become the home of some of the best theatre and entertainment in the world; both home-grown and imported. This is the 58th year of the Dublin Theatre Festival. Since the inaugural festivities in 1957, this event has gone from strength to strength to include world class actors and artists. Over 2.5 weeks, Irish and international creators, playwrights and audiences are combined with each other to produce something spectacular and unique. Over the years, it has built up a well-deserved reputation for originality, quality and innovation which is acknowledged at home and abroad. The city of Dublin itself is a natural base for this creativity. It has so much history, so many stories and such a fun-loving people with a deep appreciation of the arts that it is an obvious choice as host. Anyone who lives here or has visited will attest to the vibrancy of Dublin’s cultural and social life. There are four performances on the Family Season programme. 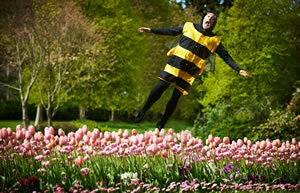 From September 22 to September 27, WillFred Theatre will host ‘BEES!’ at The Ark in Temple Bar. This is a musical which is suitable for children from 6 upwards. Through song and dance, flight and hives, children will learn some fascinating facts about bees while having fun – the best way to learn! From Oct 1 to October 4, the Dutch Theatergroep Kwatta will bring to children 6 and over a unique and “different” little mouse called ‘Manxmouse’, with sky blue fur, massive rabbit ears and no tail. That’s right – a mouse without a tail. Thankfully, Manxmouse sees these traits as virtues, not something to be ashamed of, and sets off on an adventure coming up against foxes, hawks and pet shop owners along the way until he meets his arch-nemesis: the Manx cat! Try to catch Manxmouse yourself at The Ark. From October 8 to October 9, ‘Up to Speed’ will be performed at The Ark. This is a performance created by Rosalind Sydney and and Laurie Brown (Laurie Brown is one of the cast members), suitable for children aged 8 and over. It is a heartwarming story about a boy and girl dealing with what everything that life chooses to throw at them. 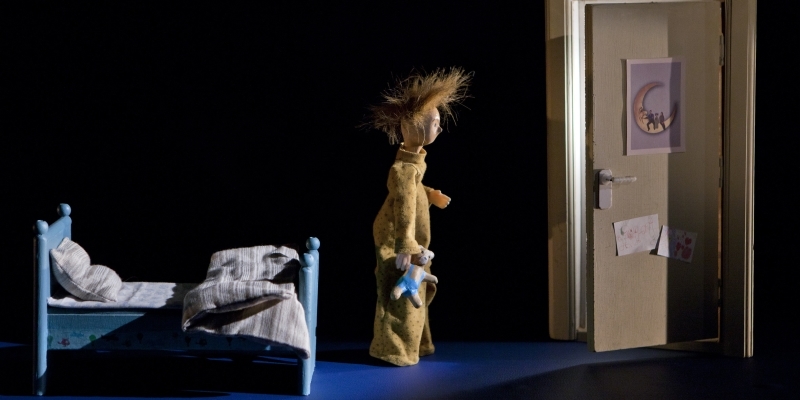 From October 10 to October 11, the Danish Merdiano tells us ‘Paper Moon’, a beautiful story about the importance of family, love and the limitless nature of our imagination. Suitable for children aged 3 to 7, this tale is brought to us via the medium of puppets and introduces us to a little boy called Elliot, whose friends are a goldfish, a tiger, a plastic lion and his favourite teddy bear. Teddy understands everything Elliot says and follows him around the place. The Dublin Theatre Festival provides vital support and aid to artists, so that they can create excellent pieces of theatre. Performances are held in an eclectic range of places and venues around the city. The programme contains something for everyone: from music to artist talks, dance to public discussions, family events to artist development programmes and theatre, you will find an event that you love. There are over 28 productions at various venues during the festival including Dancing at Lughnasa (Brian Friel) and The Cherry Orchard (Chekov). Check out www.dublintheatrefestival.com for full programme and more details.